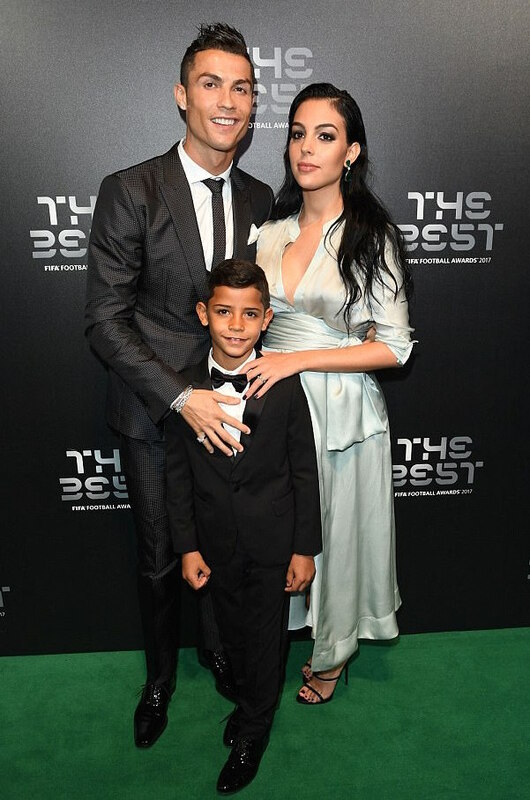 Cristiano Ronaldo, his pregnant girlfriend Georgina Rodriguez and his son Cristiano Jr stepped out together for Best Fifa Football Awards 2017 which held in London on Monday. 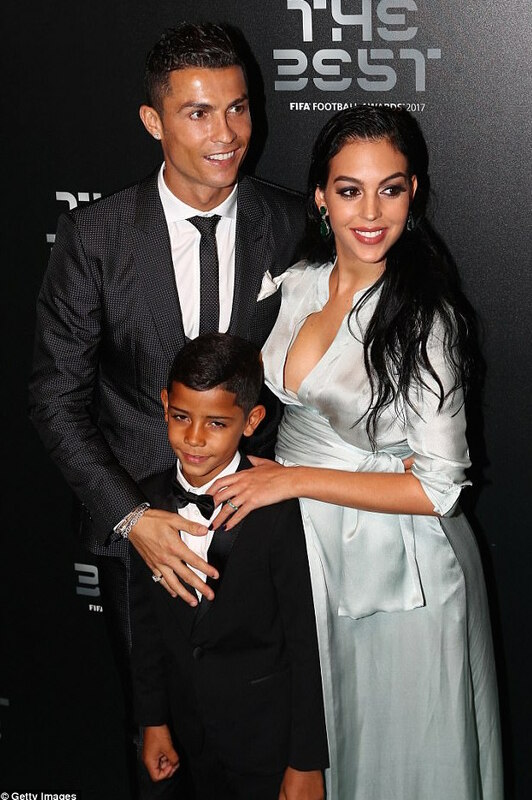 Georgina who is expecting Ronaldo's fourth child was there to support her man as he was awarded Player of the Year. The 22-year-old looked sensational in her silver gown as she cuddled up to the player and his seven-year-old son at the Palladium Theatre in the capital's West End. Georgina who is said to be eight months gone didn't let her pregnancy cramp her style. The first time mom to be played in black stiletto heels and was full of smiles as she posed with her soon to be baby daddy.